The support of our friends and family has been crucial for the growth of the student-led Alternative Breaks program. 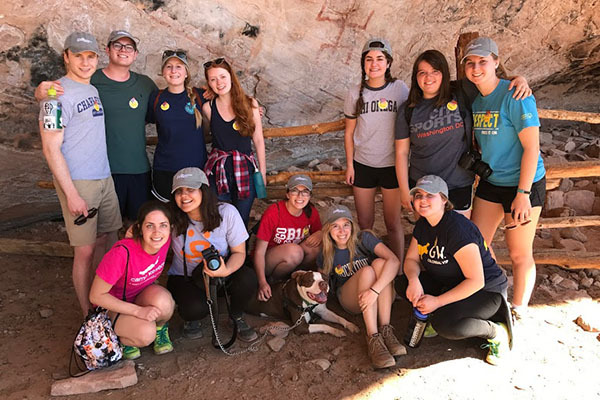 Your donations directly support empowering students to do service in various locations across the United States and Latin America. Funds cover transportation, lodging, and food. Baltimore is currently experiencing unprecedented rates of homelessness. With more than 30,000 individuals who will experience homelessness this year, there is a dire need for both action and understanding of the situation and its causes. In combination with individuals experiencing homelessness, many, additionally, suffer from food insecurity. AFB Baltimore seeks to explore the complexities of these social issues through hands-on service with local partner sites that focus on these issue areas. Participants on AFB Baltimore will also explore the cultural aspects of the city, from the inner harbor to Little Italy! AWB DC presents the unique opportunity to serve a nearby community and learn about the issue areas of domestic violence and sexual health while initiating lasting relationships with local organizations. AWB DC partners with organizations who provide services and support to a wide range of individuals in the local DC area. 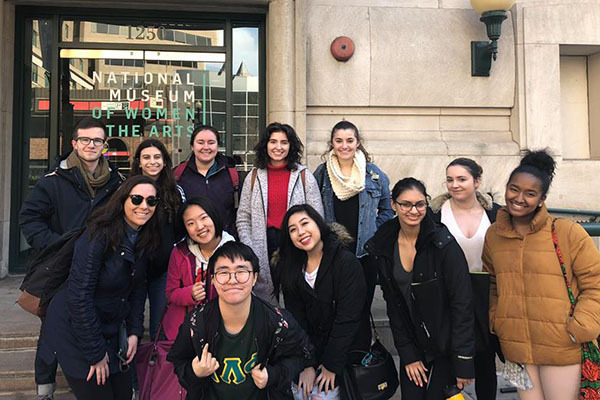 The trip also allows participants to engage with the GW community, as they learn more about resources offered on campus, and effective ways to spread awareness about sexual assault. In addition to partnering with organizations in the immediate area, AWB DC will explore and learn more about the culture of our great city. El Paso, Texas is part of a binational metropolitan area with significant shared heritage between the United States and Mexico. 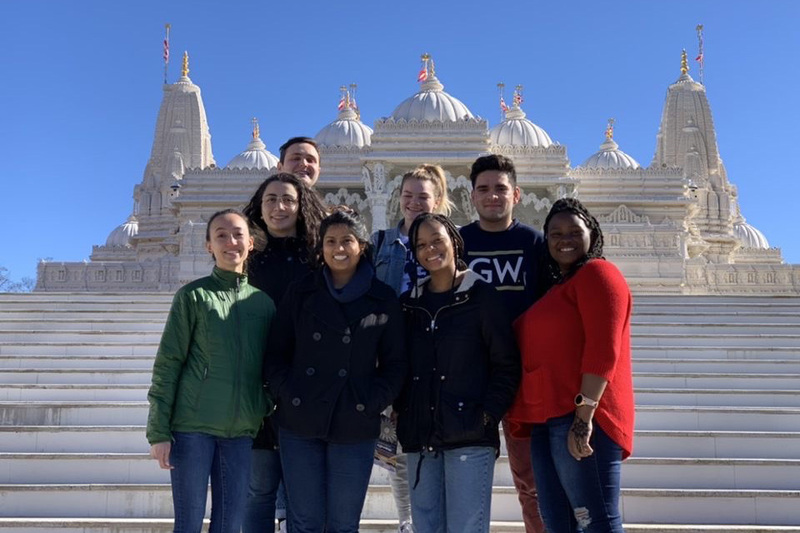 Through a week long border immersion program, GW AWB El Paso will learn firsthand the intricacies of life in both El Paso and Ciudad Juarez, life on the border, and the depth of U.S. immigration issues. We will be working with Cristo Rey, a local ministry, as well as connecting with community members, advocacy groups, and policy makers. The border immersion program includes meeting with members of the Cristo Rey community, experiencing Mexican and Mexican-American culture, planning and facilitating activities for Cristo Rey's After School Program, meeting with border patrol, and more. This trip highlights some of the many diverse facets and complexities of immigration. 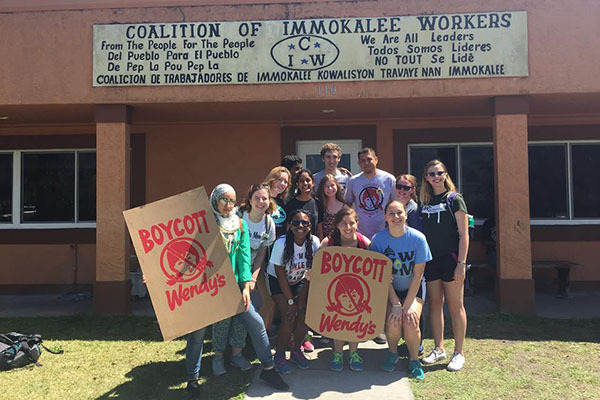 GW Alternative Break to Immokalee, Florida will focus on the advocacy of migrant workers' rights and food justice. Participants will be working with community organizations, such as the Coalition of Immokalee Workers, to make meaningful connections with the community as well as learn more about the issues of farm working conditions, unfair wages, and fair food practices. Participants will also gain a new perspective on the social injustices that arise for farm workers and what initiatives are being implemented in order to address these issues while experiencing the rich culture in Immokalee. Despite countless hardships and difficult history, Cherokee Nation maintains a strong sense of community and culture and strives for a brighter future. During the trip to Tahlequah, Oklahoma, participants will volunteer at Cherokee Nation Head Start, a federally funded program dedicated to promoting school readiness in children, ages 0-5, who may be economically disadvantaged. The program eases the transition from preschool and prepares the children to succeed in elementary school, while incorporating Cherokee language culture in the classroom to pass on the Cherokee culture to future generations. Participants will be immersed in the Cherokee culture by visiting the Cherokee Heritage Center and Cherokee history museums, taking part in cultural activities such as weaving baskets, playing stickball, and eating fry bread while learning from Cherokee people of all different backgrounds about their way of life, language, and community within the Nation. 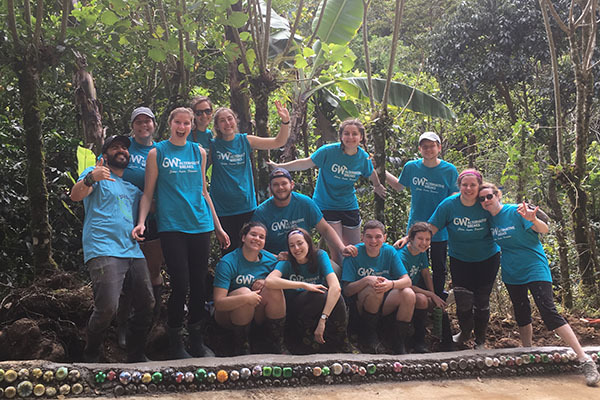 AWB Puerto Rico participants will be working on an organic farm, Plenitud Eco-Educational Initiative, to learn about sustainable farming practices, including bio-construction, permaculture, and composting. In addition to participating in local activities and working with the farm team, trip participants will learn up close about the role of sustainability in food production, resource consumption, and waste management, and learn ways in which these sustainable techniques can be transferred back to and implemented in our own homes. 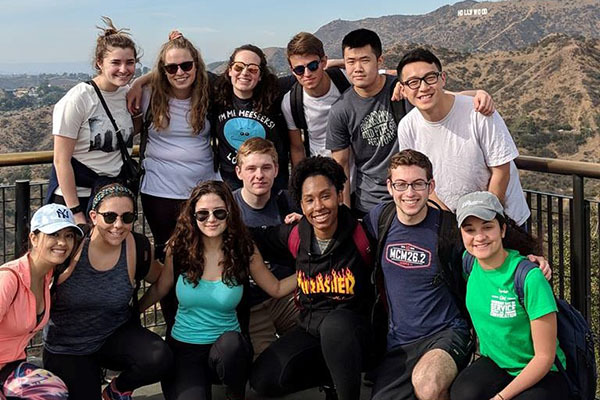 The Alternative Winter Break trip to Los Angeles will focus on exploring the culture of the massive and diverse city of L.A., while learning about issue areas unique to a community with no single ethnic majority. The trip will focus on youth empowerment in Los Angeles&em;in particular education and gang-violence&em;through our work with The Garage Boardshop. AWB LA will prompt participants to gain new perspectives on mass incarceration, prison reform, and the dynamic social makeup of LA. AWB LA will also encourage participants to draw connections between the social issues of LA and their academic and personal studies. During GW Alternative Break to Kanab, Utah, participants will not only discover the beauty of the local national and state parks through hiking, but will also learn from the rangers themselves as they speak on the difficulties and importance of the conservation of our nation's parks. Participants will serve with Best Friends Animal Society, the largest animal sanctuary in the United States, as they work to create a world with "No More Homeless Pets" through interaction with animals and learning about advocacy for their rights. This week-long trip will include a number of projects focused on sustainable development with the community-based organization, Green Communities, in Los Santos, Costa Rica. Some of the projects may include working on organic coffee farms to remove pesticides from the environment or construction throughout the community with eco-bricks. In addition to the service projects, the trip will include a variety of cultural activities, like a soccer match against the local team and a cooking lesson with the women of the community. 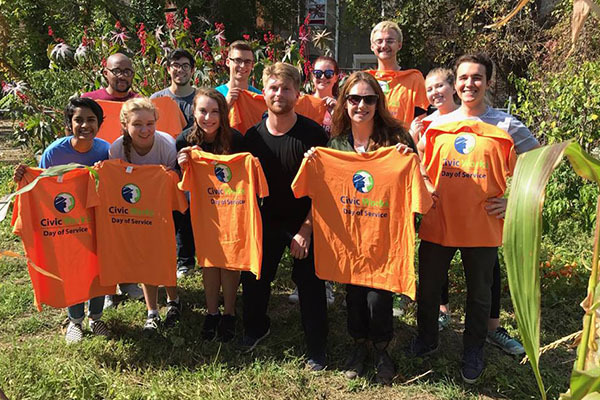 Together, the service projects and cultural activities provide students a unique experience that exposes them to local community development and engagement. 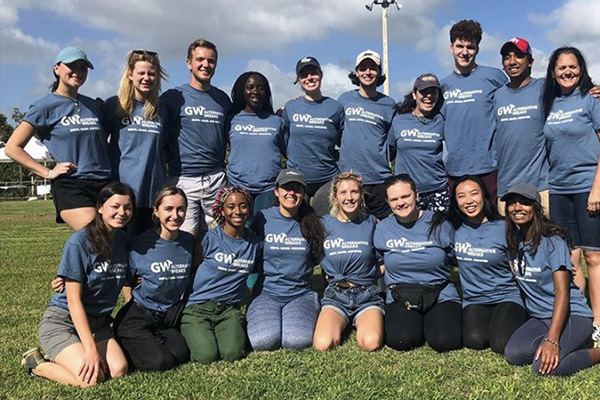 As GW Alternative Breaks' oldest and largest service trip, ASB New Orleans focuses on the issues of disaster relief, community building, and urban restoration all in a week-long trip with 52 members of the GW community. Participants will serve, learn, and discover in this southern city that still experiences effects from Hurricane Katrina over 10 years ago, but thrives on its rich and lively culture. 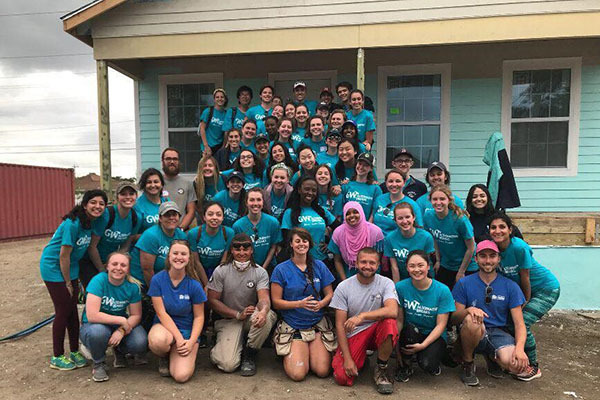 NOLA participants will work with community partners from Habitat for Humanity, New Orleans to build houses for future home-owners, and with The Green Project to repurpose and recycle reusable building materials. 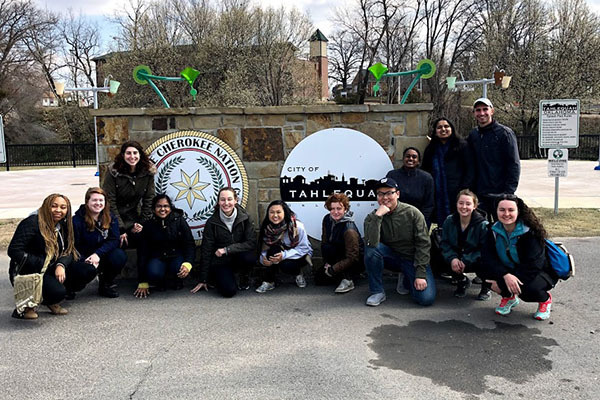 Participants also have the opportunity to experience the culture of nearby communities through visits to the French Quarter, tastes of local eats, and a trip to Rock-n-Bowl. ASB Philadelphia focuses on the issue area of public health as it relates to an urban environment. 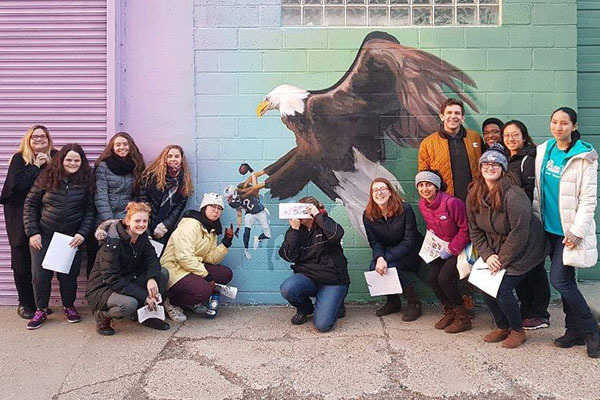 This service-learning trip to Philadelphia involves working with community partners who serve local communities with a public health-related mission. Participants will learn about the intersections of topic areas, including how public health affects groups differently and their access to community resources. 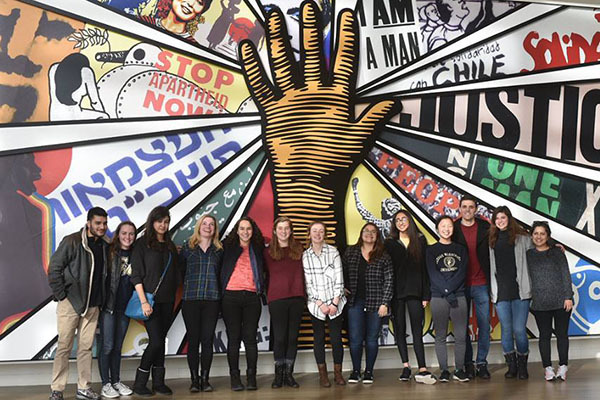 Not only will participants learn about a broad range of issue areas, but through reflection and exploration of Philadelphia and its vibrant culture they will discover ways to better understand communities in which they serve. Every year, the United States provides safety and new opportunities for tens of thousands of refugees. AWB Atlanta will contribute to this effort through participation in various projects aimed at serving the refugee community and aiding their transition to America. Serving in Atlanta will not only benefit the large refugee population there, but it will also give participants a new understanding of the challenges faced by these people who come here to restart their lives.